An Italian-recipe dating to the mid 18th century, Aquila Rosin has a following among the early music players. It works very well for violin, viola, and viola da gamba. Some cellists also like it as well. 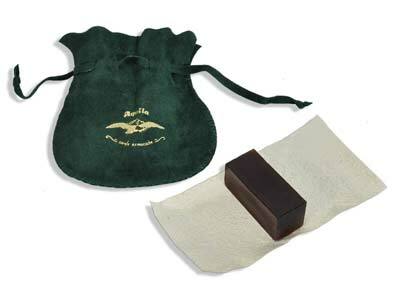 Comes in a green leather bag and wrapped in a piece of suede. It was delivererd very fast with warm letter. They can care for the custmer.